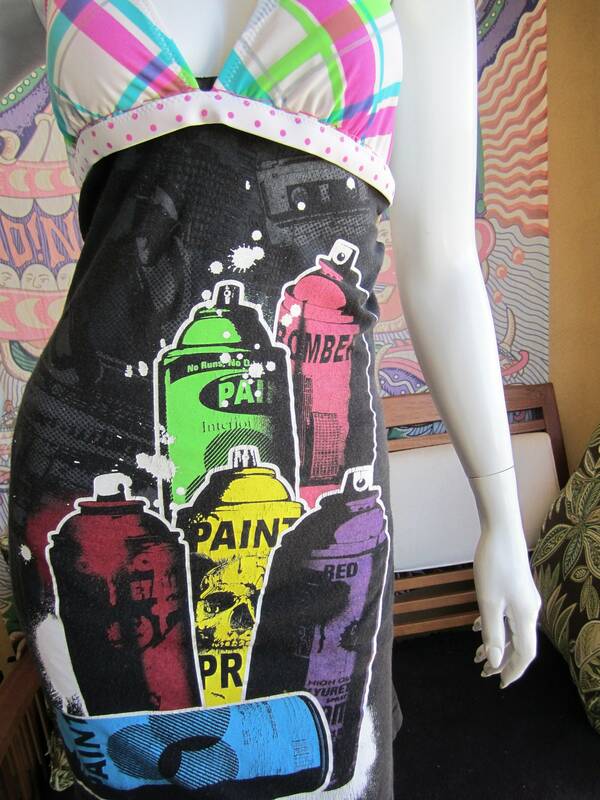 Buy this awesome dress in my etsy shop! I don’t know if it’s because of the daily grind of working in a public high school but I am having a very difficult time finding the motivation to write anything worthy of reading for my blog. Keeping up with a blog is certainly easier during the summer. While I have kept up with my sewing and drawing, I have been struggling with writer’s block. At least for me, I need to be in a relatively calm and free state to really get the creative juices flowing. Unfortunately, feeling free and relaxed is generally impossible with the demands of keeping up with the education bureaucracy. Perhaps I should find inspiration where I work and write more education pieces given that I am in the trenches everyday. However, I cannot help but be concerned about discussing certain problems in the school system given that teachers have been fired over their blogs. It seems like the teachers who are reprimanded for their blogs make disparaging claims about the students. Personally, my gripes concern the twisted incentives and Big Brother solutions today’s schools are taking. Being a freedom loving government teacher, I feel as though I have a moral obligation to do as much as I can to help stop these events from happening, but as stated earlier, it is difficult to be courageous when the consequences for teacher whistle-blowers include losing one’s job. Despite my concerns, I suppose I have one tiny nugget of courage to exercise what appears to be my Constitutional 1st amendment right so I shall harp for a moment on the Richardson Independent School District’s new policy to take away senior privileges for today’s 8th grade students. As it stood, seniors who fulfilled all the necessary requirements for graduation could take up to two class periods off their senior year. Seniors use that precious time to study and complete work for AP classes, seek employment opportunities, apply to college, or do whatever it is they should be free to do if they have fulfilled their necessary coursework to graduate. However, in the name of college readiness, students will no longer have those privileges and will have to take additional coursework to satisfy these new demands. Of course, many students are angry about this development. The district created a survey last year to gauge the popularity of enforcing a 7 period day on seniors and, not surprisingly, the measure was not received well by parents, students, and many teachers. Unfortunately, students and parents were not part of the “college readiness task force” that decided this issue. Although I teach a college transition course, I am appalled that the school district would decide this issue without consulting the parents or the students who will be forced to obey these rules. While this measure is intended to help kids transition to college, no college transition teachers were asked to attend the meeting or provide their opinions. I am baffled as to why these people think that we would better prepare kids for the freedoms and responsibilities of college life by forcing them to attend classes they do not need and cancelling out the time for high achieving students to focus on their advanced coursework. This kind of stuff drive me crazy, but what can I do? I know that I will eventually find the courage and creative energy needed to write some good stuff about education and other things. At least the RISD policy helped me show students that local government can be as equally tyrannical as the feds. Anyways, I would really appreciate any comments on the new RISD college readiness decision. Perhaps I am misguided, misinformed, and mistaken that this is a bad thing for kids. Until I hear good evidence to the contrary, I cannot help but see this as doing a grave disservice to our youth. Right now I am really inspired by the graffiti artist MearOne. This guy is phenomenal. Maybe focusing on good art can help me out of my funk. Posted: October 17th, 2012 under Dresses, Education.